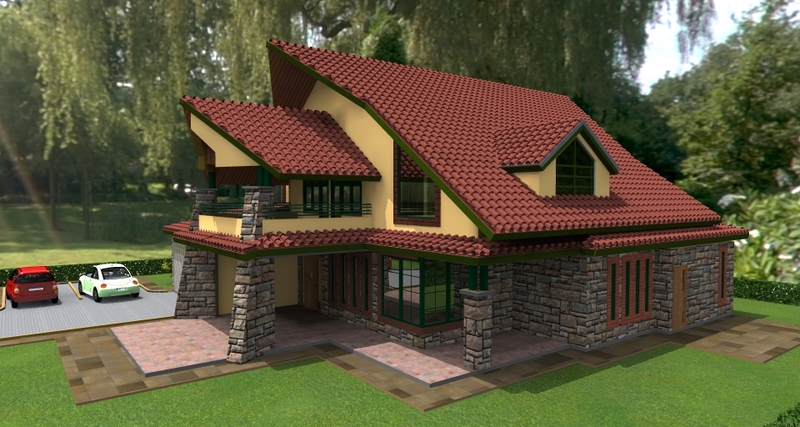 There definitely has been a push in recent times towards the creation of contemporary architecture in East Africa that is more international in its appeal. Traditional vernacular architecture forms in the East African region, as well as design forms that are reminiscent of our colonial history such as victorian and classical architecture that one may find in older buildings and new variants of this architecture with its postmodern influences has been the norm for quite a while within the East african architectural scene. However as East Africans have had opportunity to tour the world in greater numbers, the more interest they have built in international architecture. Certainly, this has manifested in a desire of many discerning clients desirous to own a piece of the world in their own back yard. After having spent time in developed economies and countries with plenty of this kind of architecture, such discerning individuals end up with a desire for having homes or offices that display this kind of feel wherever they live and work. The real estate industry in East Africa has consistently demonstrated a high rate of returns, both from sale and rental revenue for properties. 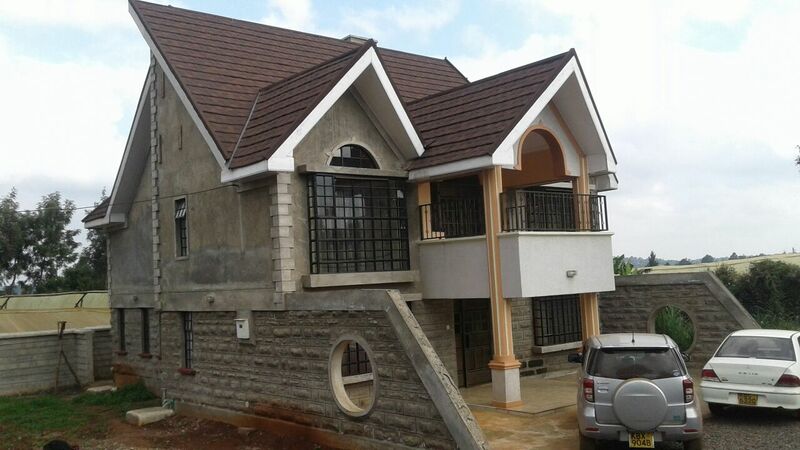 This has also led to plenty of interest from the wider international market, where desire from international investors to get a piece of the action in Nairobi’s real estate market has caused ripples in the international scene as regards real estate returns. People who are not averse to investment in leading markets worldwide certainly will take note of the performance of emerging markets in East Africa, and will bring their investment. It is not rocket science to see that there will be growing interest in architecture that speaks modern, contemporary and international language in its makeup. At an even more desirable level is architecture that is international in its essence, yet responds to its context in a manner that captures the identity of a place. This is one of the tenets of sustainable design, as the building being designed and constructed needs to be relevant to its location. 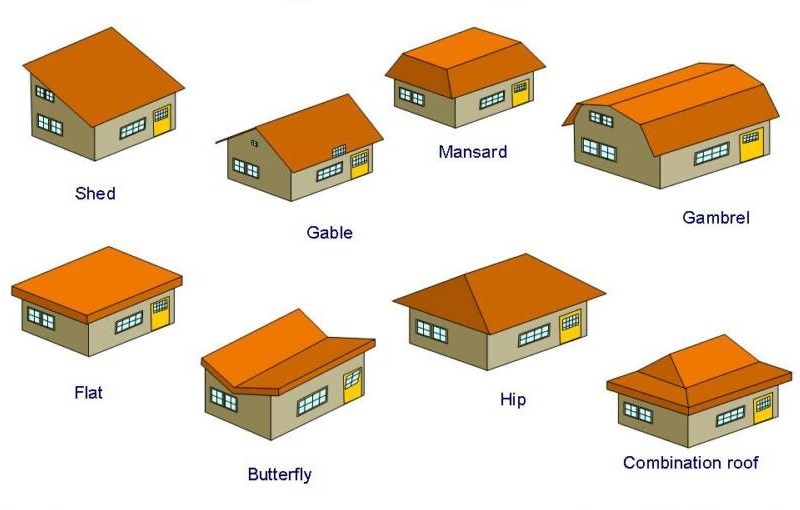 However the design of a building can be reminiscent of the society’s vernacular architectural typologies, interposed with the design interventions from the contemporary style. The end result is architecture that is international in essence, yet responds to the local context where it is being built. 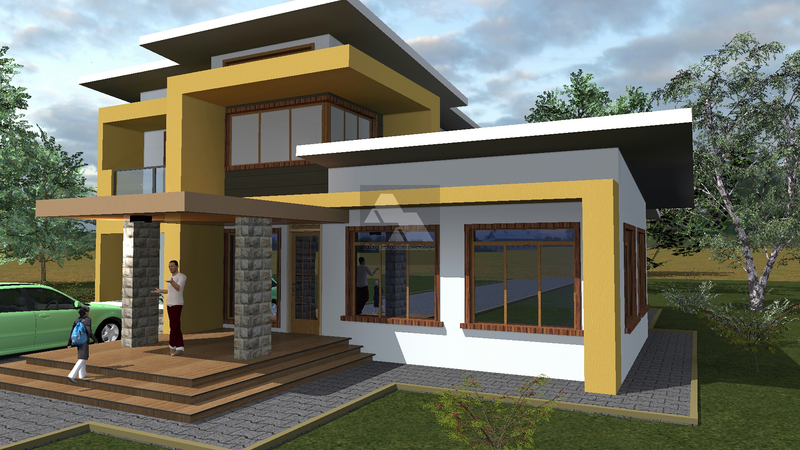 So how do you create this kind of contemporary architecture in East Africa? The acronym PLOT comes to mind when it comes to the what forms contemporary architecture. There are particular characteristics of this kind of building forms that always seem to rise to the fore. Planes are a major feature of contemporary architecture. They are clearly seen in the projecting slabs and cantilevering forms that hang above internal and external spaces. The ability to have planes hanging over external areas is a major form defining element of contemporary architecture. Whether they be flat or tilting in a particular direction, their spread and overhang plays a major role in making contemporary architecture look like what it is. The planes may be well created using cantilevering slabs overhanging roof areas, or projecting balconies overhanging external spaces. Using them this way will allow them to work their magic of creating a contemporary form yet in a functional way. One of the strongest defining element of contemporary architecture is its affinity for lines and linear textures on its makeup. Lines are typically horizontal on the facades but vertical ones are incorporated as well. There are many ways with which to create this linear texture on the facade of the building. Use of elements such as window louvres and grills laid in horizontal linear patterns is a sure way of getting the lines drawn on the facades. The lines can also be created using intrinsic materials that are part of the construction such as stone masonry jointing, brickwork or concrete renders having these horizontal keys on them. Creating lines on the overhead horizontal planes is also a great way to create beautiful contemporary architecture. For example, having a system of beams or a trellis or pergola on the roof plan with openings to the sky above creates interesting shadows which highlight the linear textures on a building. O is for openings or voids. A key determinant of beautiful architecture is the ability to balance solids and voids on a building’s form. Contemporary international architecture has a major affinity for large edge to edge windows or curtain walling that create plenty of voids on walls of rooms. Rooms of such buildings often have large windows that allow users to enjoy large unconstrained views of the exteriors. A mix of solid planes with large openings is the way to create interest on facades. By so doing large views can be harnessed and the external areas are well brought into the house. The question of security though poses an interesting challenge in our local neighbourhoods, where the need to secure a building may mean that using huge glazed openings without a secondary barrier may not be feasible. A simple solution to this may be to utilise retractable grilles such as the Trellidor Series Grilles, or to have steel grilles with a darker colour that will not stand out from outside the building. Painting your burglar proofing with gun metal black will make sure that they do not reduce the effect of the voids and openings. Voids on the horizontal planes are also of interest, as can be evidenced by having a series of voids on a roof slab, or the effect of a pergola which creates both lines and voids on the horizontal plane. There are beautiful textures that an architect can create on their design to create interest on facades of buildings, as well as in its interior spaces. Creation of varied textures on a building is a major feature of contemporary design. Having a mix of smooth industrial textures intermingled with rough natural textures gives the kind of tactile interest that a contemporary house would employ. The beauty comes from being able to experience smooth surfaces in one colour blending into a different coarser texture with a different colour on another surface in the same room. For example, within a living room, one wall may have a smooth plastered and painted surface, while another adjacent may be finished with mazeras tile or flagstone or another faux-stone finish (such as moulded rough textured concrete) lined with mahogany trim. The overall effect of this kind of material mix within a single space leads to a rich visual composition that is unmistakeable as a piece of contemporary architecture. The creation of contemporary architecture that responds to its context is one way of ensuring architecture in East Africa remains true to its roots, while remaining relevant to the international community at large. 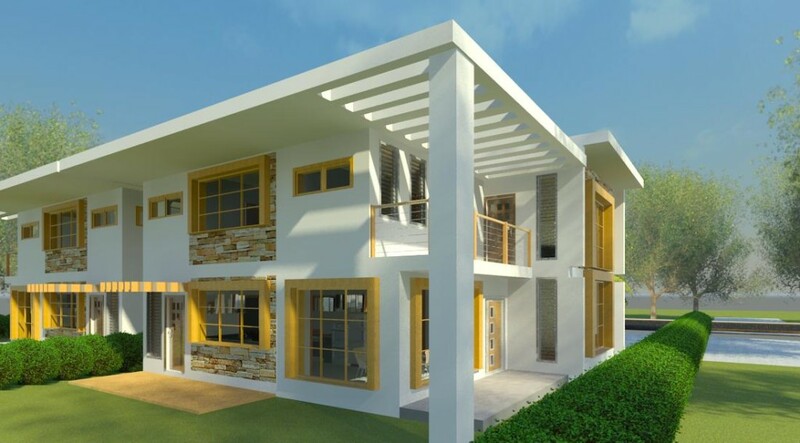 Employing these principles of building design will ensure that developers and architects design and build contemporary architecture in East Africa that is beautiful and functional.